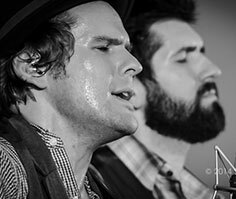 When The Steel Wheels, a Virginia-based Americana/roots band, played at Mansfield’s Rose Garden Coffeehouse on Saturday night, there was something special in the air. 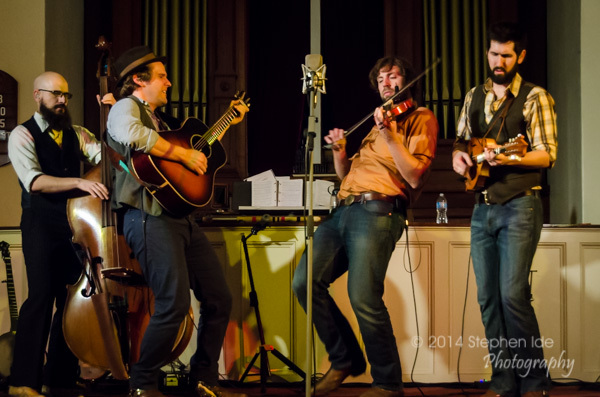 The band had performed in 2012 at the venue, located in the Congregational Church on the town’s South Common, to a small crowd of 80 people. Fast-forward two years and more than 200 people filled the church’s sanctuary on Saturday night. The band played many of the songs for which they have become known, including “Red Wing,” “Breaking Like the Sun” and “Valley.” They also played a number of new songs, including “We Got A Fire” and “End of the World,” which aren’t expected to be released on CD until 2015. The band has produced four CDs over the years and is about to release a 7-inch vinyl recording. After performing a rousing rendition of the a cappella song “Valley,” the band returned for an encore. According to band members, they had decided backstage to perform a song they hadn’t done in some time, a pensive, evocative love waltz called “Dance Me Around the Room.” The song ended with a surprising turn. An audience which had just delivered a thunderous standing ovation at the end of the show, was stunned to silence for about 10 seconds.